The Brazilian government has suspended Chevron Corp’s drilling rights in the country until they come clean about the cause of an offshore oil spill. The chief executive of the Chevron Brazilian unit publicly apologized for the November 8 spill, which leaked about 2,400 barrels of oil into the ocean off the coast of Rio De Janeiro. 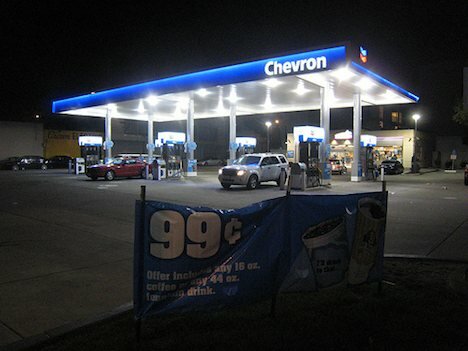 Brazil’s National Petroleum Agency decided to suspend Chevron’s drilling rights after finding evidence that the company had been negligent in its drilling studies, as well as in their actions during the accident. The agency also rejected a request from Chevron to drill larger wells into the Frade field, located in Campos Basin, the area where the oil spill took place. Campos Basin is the source of more than 80% of Brazil’s oil. Chevron has previously drilled in this field. Chevron owns 52% of Frade, 30% is owned by Petrobas, a state-controlled energy giant in Brazil, and 18% is owned by Frade Japao, a Japanese consortium. Chevron has been fined $28 million for the spill, and more fines are expected to be slapped onto the company by ANP and Rio’s state government. According to George Buck, Chevron’s CEO in Brazil, the company “used all resources” and “acted as rapidly and safely as possible” to stop the flow of oil from the well. Chevron, Frade Japao and Petrobas produce about 79,000 barrels of oil a day in the field. According to ANP, the suspension will stay in place until Chevron fully restores a safe condition within the field.